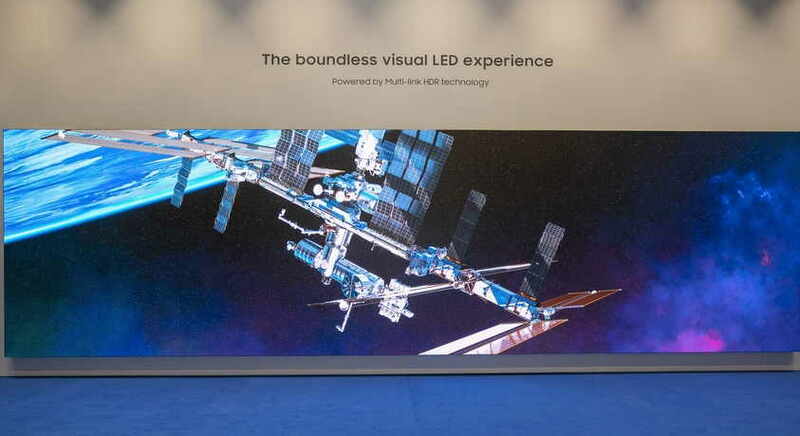 Samsung today announced a range of new 8K Digital Commercial Signage display along with a 82” QLED 8K Signage a huge 292-inch The Wall in 8K display and 8K Multi-Link LED HDR signage at ISE 2019. 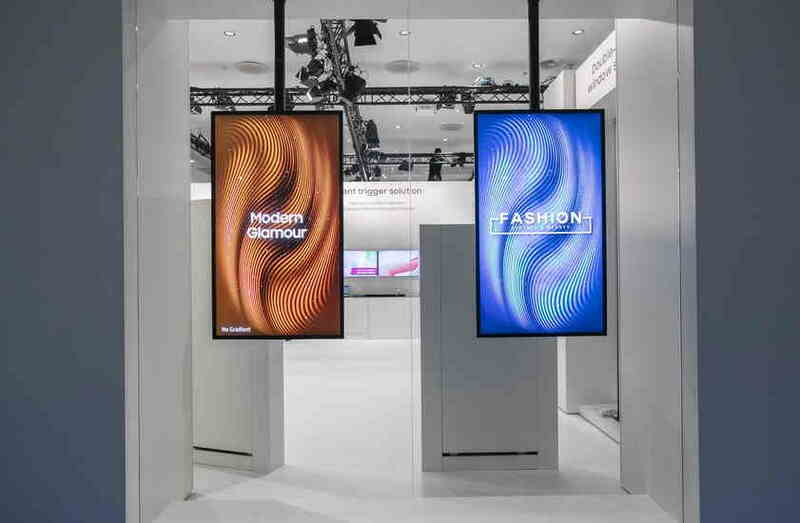 The new range of Samsung 8K Digital Commercial Signage display also includes a semi-outdoor OMN/OMN-D series signage which will be available globally this year. 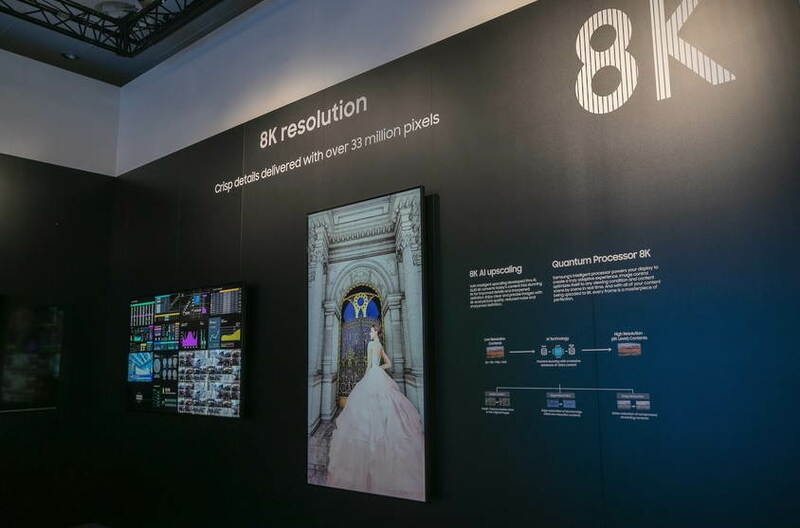 Samsung announced that it will bring a new 82” QLED 8K Signage this year for businesses that will combine the market’s highest resolution with Artificial Intelligence (AI) upscaling technology. The new Samsung 82” QLED 8K Signage is only 40mm thin and comes with a resolution of 7,680 x 4,320 pixels to deliver impeccable picture quality to the audiences. 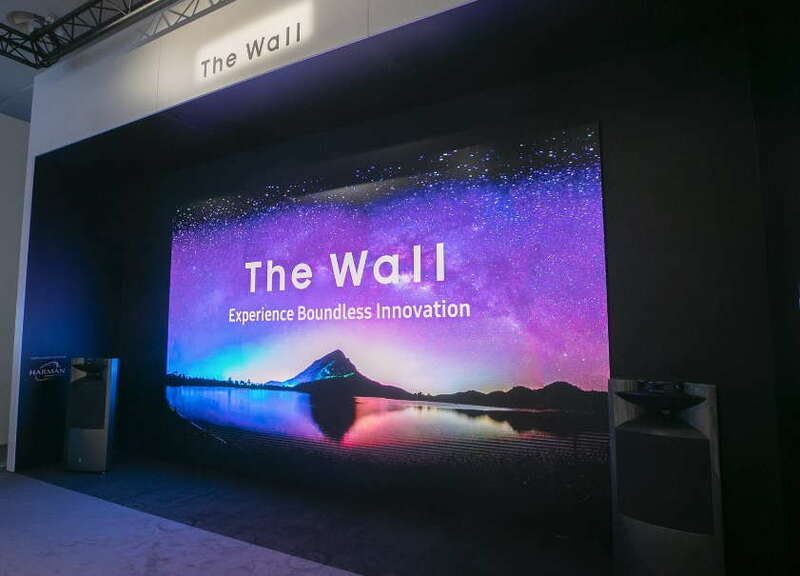 Samsung says that it will also launch a 292” version of The Wall display in 8K globally this year. The 292” version of The Wall display features a large-format modular display which configurable and customizable to a variety of sizes and ratios from 73” to 292”. Now talking about the Multi-Link LED HDR, this signage usses industry’s first 8K LED HDR technology and can deliver unparalleled image quality, featuring Inverse Tone Mapping (ITM) and Dynamic Peaking to maximize brightness and contrast ratio. Lastly, Samsung has announced a new semi-outdoor OMN/OMN-D series displays which will be available in 46” and 55” sizes globally this year. The OMN/OMN-D series signage displays feature 4,000nit brightness and a high contrast ratio of 5,000:1 which is said to provide an eye-catching display solution with vivid and crisp content and excellent visibility, even in direct sunlight.